Check this one off your bucket list! What a great way to get out of the cold! Learn Clay hand building with our expert pottery teacher Vickie. Learning how to roll out clay, cut, attach pieces together, then make decorations, and put it all together. 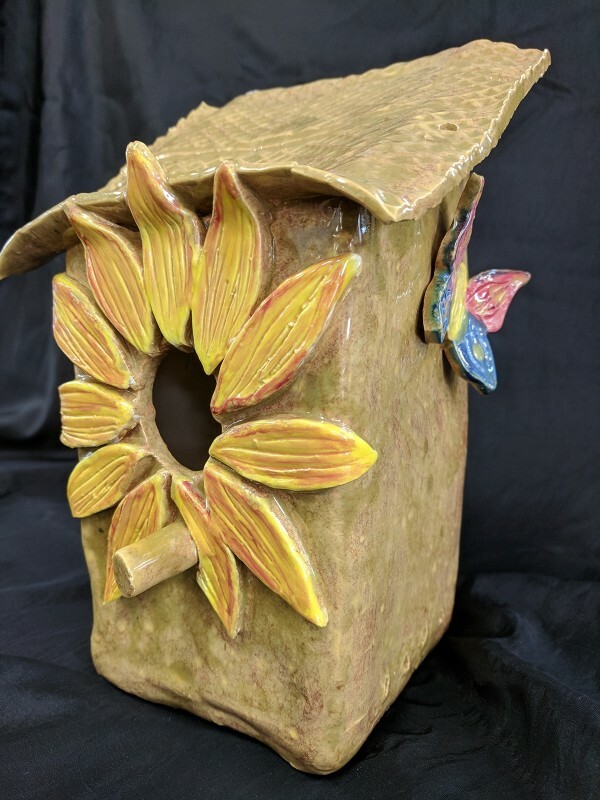 You will create this beautiful birdhouse for our fine feathered friends! $89.pp. Includes all materials and 1 open studio to glaze (that means you can come in anytime we’re open to glaze, and we show you how!) Bring a (nut free) snack to share and a beverage of your choice. Call to preregister; spots are limited (860) 354-4318.